Explore the terrain of Yiddish culture, discover traces of the lost world described so vividly in the classic songs, and tune into the distant rhythms of Jewish life. Join us for a Yiddishkayt Expedition, our curated exploration of the historical heartlands of Jewish music, theater, song, and wine. Records show the presence of European Jews as early as the reign of Emperor Constantine in 321 and in the centuries that followed, Ashkenazic Jewry spread over much of Europe. While it was was many times a difficult and hostile place, for a millennium Europe was more often simply home: the birthplace of Jewish language, traditions, and customs and the source of Jewish creativity and culture. Join us for a journey to the roots of Jewish popular culture: the starting point of Yiddish theater, the stomping grounds of wandering Jewish troubadours, and the home of famed Bessarabian wine. We’ll meet in the historic crossroads of the Ottoman and Russian Empires in Chișinău as we wind our way through the fertile countryside of Moldova, through splendidly colorful Romanian Bukovina into legendary Transylvania, before ending in the modern art mecca of Vienna, tracing the footsteps of Jewish artists, and tasting the famed wines of Moldovan and Romanian vineyards as we go. Our 2016 Expedition will be heading out the last week of May 2016. Contact us for the full itinerary. Our itinerary can always be customized based on the individual interests of our tour participants. We will be lodging in each of the cities below. Our expedition departs from your gateway city the last week of May 2016. Please contact us for specific dates. Yiddishkayt Expedition is a small group trip, which brings a maximum of 15 explorers on a Jewish cultural adventure led by Dr. Robert Adler Peckerar. The executive director of Yiddishkayt, Rob is a pioneer of Jewish cultural travel throughout Europe. 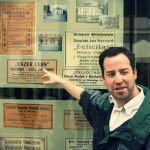 He is the author of several articles about Yiddish literature and cultural memory and has spent the last decade leading tours to the sites of vibrant Jewish life. As professor of Jewish literature and culture at the University of Colorado, he lectured on Jewish cultural history and world Jewish literature and created a residential study program on Jewish arts and literature in Venice, Italy, before creating Yiddishkayt’s groundbreaking cultural travel program HELIX. Prices are per person, double occupancy. A portion of your trip cost is a tax-deductible contribution, as our Expeditions help advance the work of Yiddishkayt. For a single room, add $895. International airfare is not included in the expedition pricing. Economy airfare from Los Angeles to Chișinău and return from Vienna is currently listed from $1,185 (subject to change). Optional, personally-guided excursions to requested towns, cities, and villages can be arranged, in advance, at extra cost. The Expedition is fully customizable! If you wish to visit a town near the regions of Bessarabia and Bukovina we travel through that is not on the itinerary, a personalized, guided tour can be arranged. GO WEST! Add on a two-day, post-trip extension from Vienna to Ljubljana, Slovenia. A deluxe extension includes a full-day tour of this beautiful city — 2016’s Green Capital of Europe — plus an additional free day to explore the city. Once a treasure of the Habsburg Empire, the Slovene capital sits at the historical junction of central, southern, eastern and western European cultures. As we travel through the towns and villages that once held thriving Jewish populations, the traces of Yiddishkayt are palpable, just waiting to be explored. Along the expedition, you will hear the echoes of cities and shtetlekh once full of Jewish life, and take in the sights and sounds of the alter heym (our “old country”), a land of often surprising natural beauty, with winding rivers, golden plains, and lush mountain pathways. You can always opt to hop off the tour for a personally-guided exploration of the shtetl, city, or village your ancestors lived in for centuries, customized and arranged through our tour operation staff. Our trip is expertly operated by the award-winning Mir Corporation, which specializes exclusively in the region. Mir has repeatedly been named one of the “Best Adventure Travel Companies on Earth” by National Geographic Adventure and was the winner of this year’s National Geographic “Tour of a Lifetime” award. We cannot appreciate a thousand years of Jewish life with our eyes fixed only on its end. In the places we explore along our way, a vibrant history of Jewish presence is always tangible. These towns and villages bear witness to a simple fact: Jews lived here for centuries, creating the rich culture we know today as Jewish Culture, and they worked, sang, produced, and performed side by side with their neighbors. We look forward to seeing you this spring in der alter heym. For more information or for a detailed itinerary of our 2016 Expedition, email us.